Defines the rotation of the arc, in degrees. The default value is 0. An arc is a section of circles or ellipses. 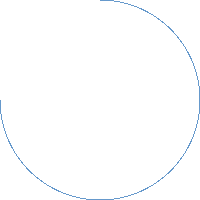 Given the radius and the start and end points, there are two ellipses that connect the points. 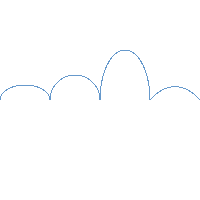 This property defines the rotation of the X axis of these ellipses. 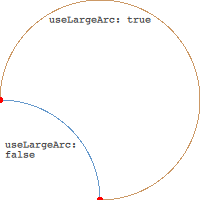 Note: The value is only useful when the x and y radius differ, meaning the arc is a section of ellipses.